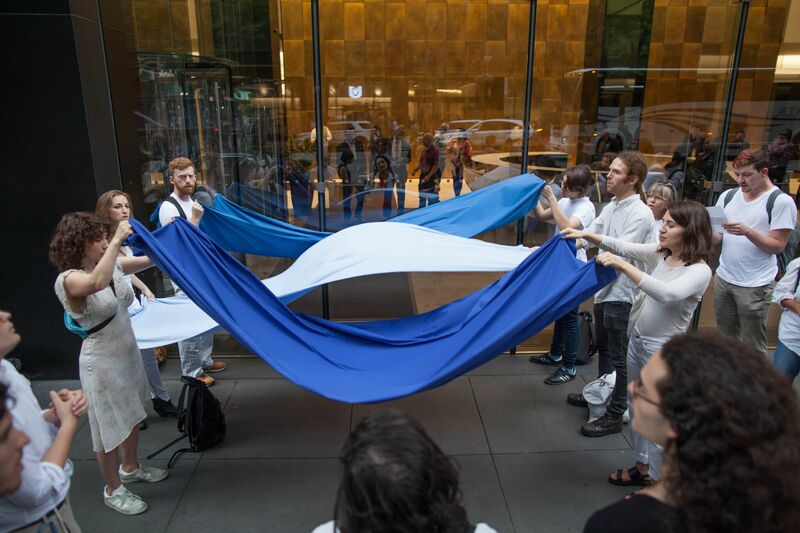 On Thursday, September 13, in the midst of the Jewish Days of Awe during the High Holy Days, JVP-NYC carried out a Tashlikh ritual at the Anti-Defamation League (ADL) headquarters in NYC. 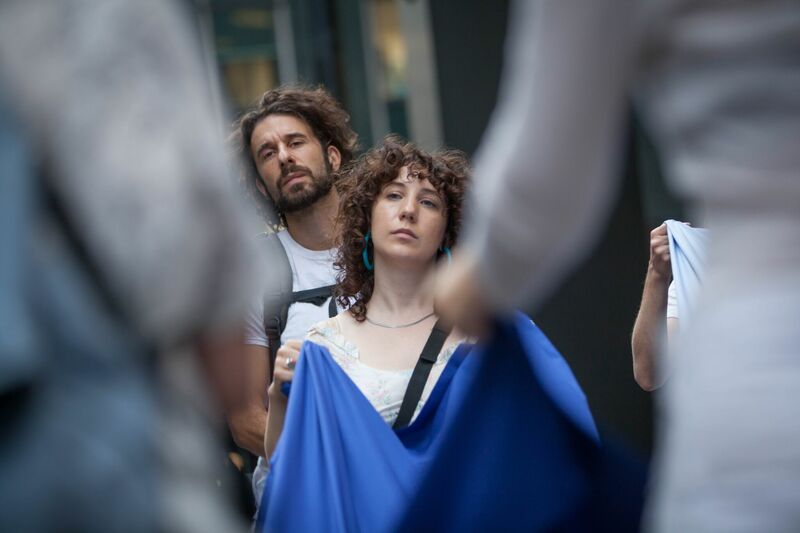 Tashlikh is a practice of casting off sins and committing to justice (often symbolically represented through tossing bread or stones into water) – in this spirit we demanded that the ADL stop funding training exchange programs between American law enforcement and Israeli military, police and security agents. These Deadly Exchange programs bring American police, border patrol, ICE, and FBI together with Israeli soldiers, police, and Mossad and Shin Bet agents. The two groups share materials and teach each other practices including Stop-and-Frisk and Shoot-to-Kill, weapons and surveillance technology, and racial profiling practices. “Out, out,” the police had us at the door, preventing us from gathering inside the office lobby. The ADL had called the police on us. Though these exchanges are carried out under the banner of “counter-terrorism,” none of them have helped to prevent terrorism here, like mass shootings, police killings, killings of trans women of color, or domestic violence. Instead, “counter-terrorism” has bolstered surveillance of Arab and Muslim people and repression of anti-racist movements. 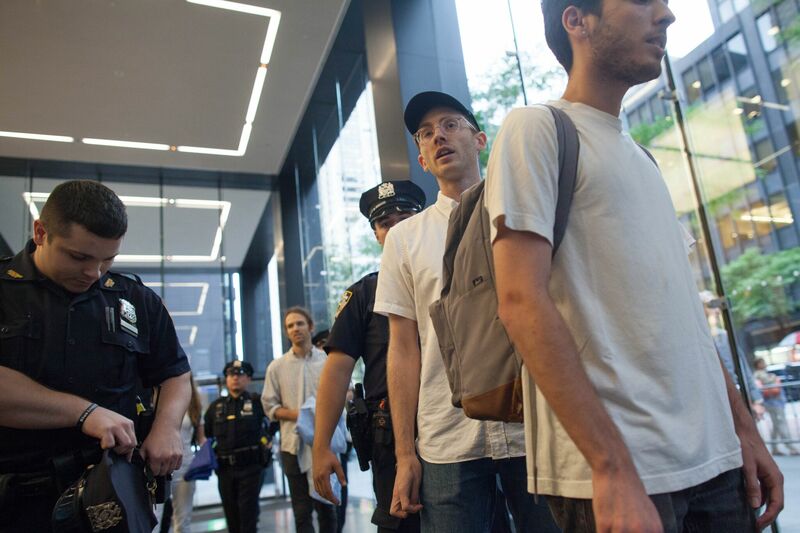 When you stage a protest against police brutality in New York City, it is likely that the NYPD will send its counter-terrorism unit to shut you down. 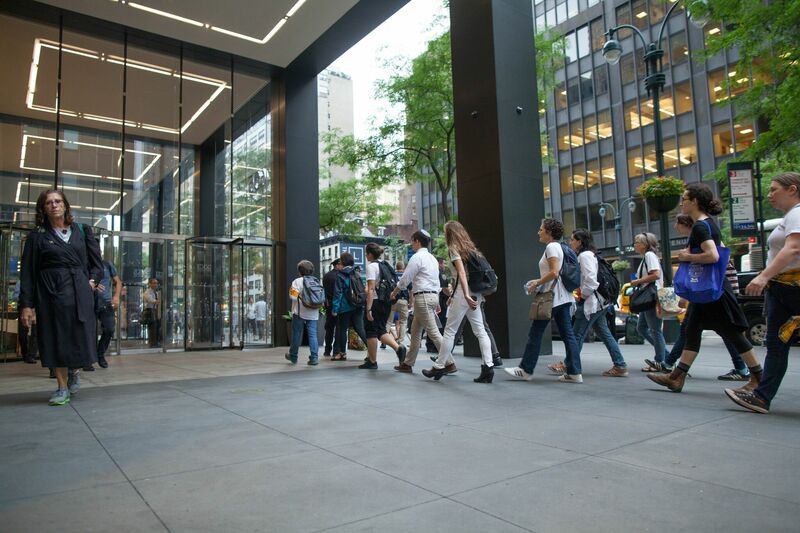 Young and elder Jews waved light, dark, and medium blue ribbons in an undulating rhythm before the glass window of ADL headquarters. The Anti-Defamation League (ADL) has facilitated hundreds of top ranking US law enforcement people traveling to Israel through their “National Counterterrorism Seminar (NCTS)” since the program’s inception in 2003. The ADL has funded and organized exchange trips in December 2016, August 2016, September 2015, March 2014, February 2013, October 2013, March 2012, April 2011, October 2011 – among many others, most recently in July of 2018. The ADL runs yet another program, the Advanced Training School (ATS), that has brought hundreds of Israeli law enforcement people to the US to train American police. During our Tashlikh ritual at the ADL, we this asked fellow Jewish organization: If you really believe in civil liberties, stop the Deadly Exchanges. If any organization is the harbinger of coming freedom in America, it’s not the police. And our police certainly won’t learn from an occupying army how to respect civil liberties. Individuals stepped forward and named sins they committed this year. In the spirit of atonement, we called for the ADL to meet with us, but they sent no representative. JVP members and friends sang Avinu Malkenu, a prayer seeking forgiveness. 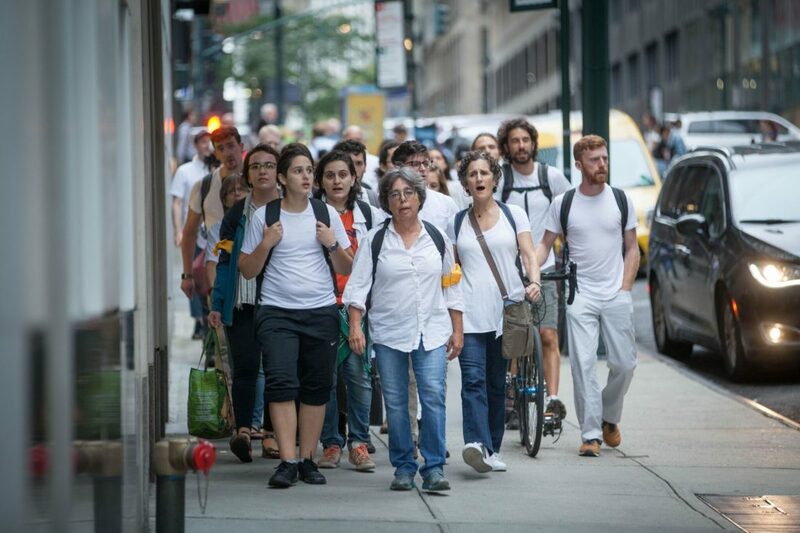 We restated the urgency of ending the Deadly Exchanges between US and Israeli law enforcement. Then the shofar blew, or pierced: Not another year of violent collaboration! We wore white, as is customary during the High Holy Days, a sign of humility.